I am trying to insert 4000 items to the list , after inserting 1500 (around) following error occurred (forbidden 403). 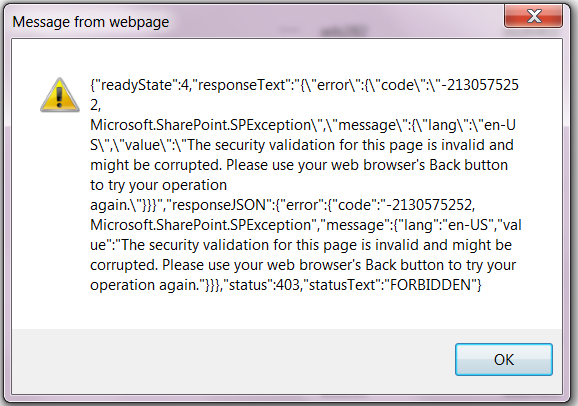 As you can see in the error message, it has to do with security validation of the page. Since you are doing a bulk update, I believe it takes considerable amount of time to finish the updates and thus in between itself the form digest for the page expires. Not the answer you're looking for? Browse other questions tagged sharepoint-rest-api or ask your own question.